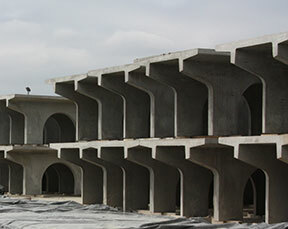 Pro-Cast manufactures precast products for customers who have their own forms and will store their products until they are ready for delivery. Call on Pro-Cast Products to manufacture and store your precast concrete products until your schedule requires delivery and Installation. 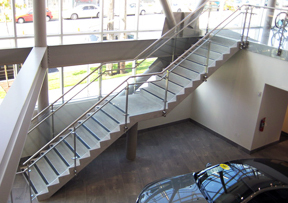 RediStair RediStair® is the concrete product that can bring the value of a concrete stair to a building owner at a cost competitive with steel stair systems. The advantages of concrete stairs over steel are many; they are more durable, quiet, and architecturally appealing than steel or steel frame with concrete tread systems. The tradeoff has always been the cost to upgrade from steel to concrete. SubMar ® Erosion Armor Mats Submar Revetment Mats are an articulating concrete mat used primarily for pipeline protection, erosion control, and shoreline stabilization. This 6,200 lbs. 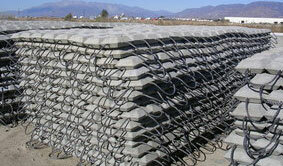 mat is 4 1/2″ thick and has a low hydraulic profile when placed in a streambed. 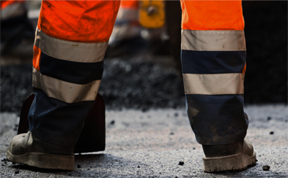 Pipeline companies prefer SubMar mats over their pipelines for several reasons. Ballistics Technology International (BTI) Ballistics Technology International Ltd. provides facilities and structures that provide dynamic, modular, and scaleable solutions to fulfill various aspects of urban operations training. The Neel Company T-Wall Retaining Systems The T-Wall ® Retaining Wall System is used in a wide array of applications, from highways and railroads to waterways and site development, and are available in a variety of architectural finishes to compliment the aesthetics of any project. 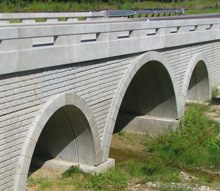 TechSpan ® Tunnel Arches TechSpan ® is the most reliable, cost-effective precast concrete arch system available for the construction or replacement of culverts and bridges. Construction of TechSpan is simple, rapid and predictable with small crews and conventional equipment. 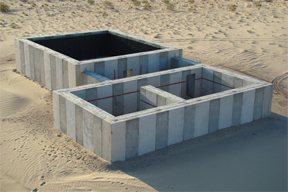 Contech Engineered Solutions ® Contech Engineered Solutions provides site solutions for engineers, contractors, architects, and owners. Our portfolio includes bridges, drainage, erosion control, retaining wall, sanitary sewer, and stormwater management products. Through cost-effective engineered solutions, we help build, support, and sustain land development projects while protecting the environment. Super Slab ® Fort Miller is the premier jointed precast pavement manufacturer in the United States – but it didn’t happen overnight. Fort Miller’s Super-Slab® pavement system has led the industry in innovating and developing sustainable precast pavement technologies since 2001. Super-Slab® has been used in 15 States and 2 Canadian Provinces on over 100 projects that have included thousands of precast panels totaling over 2,000,000 square feet (36+ lane miles). In fact, Fort Miller has provided over 80% of the precast pavement installed throughout North America.